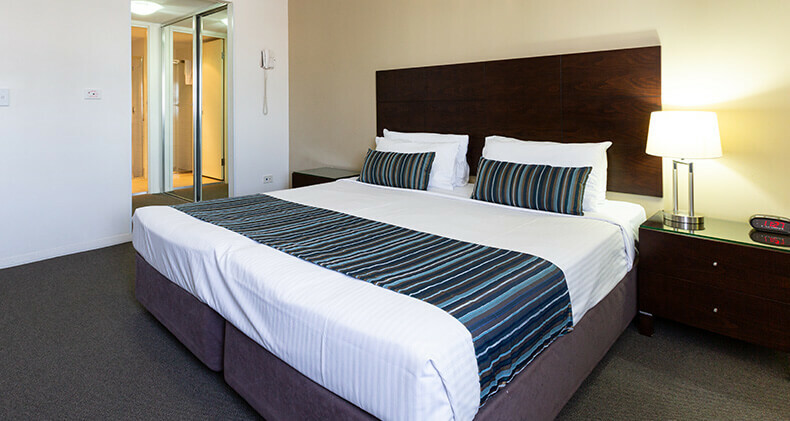 Book direct with Gabba Central Apartments – Brisbane and receive the best rate, guaranteed. Sign up to Gabba Central Apartments News and be the first to know about news, specials and upcoming events. 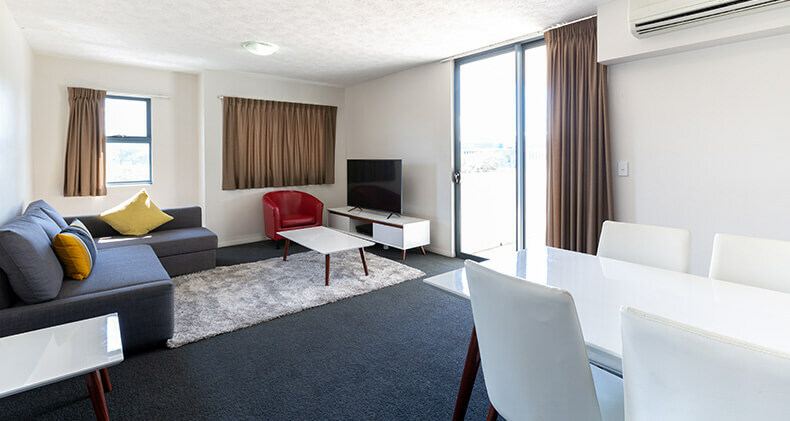 Gabba Central Apartments are perfectly situated for those seeking contemporary and stylish accommodation in the centre of Queensland’s capital city. 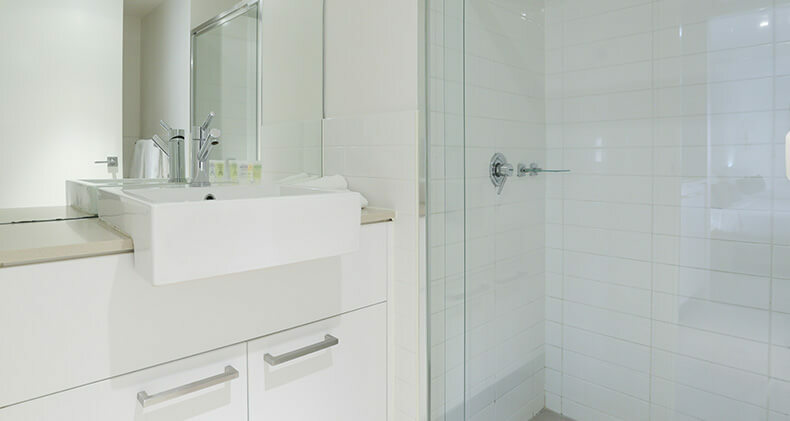 This impressive complex of four towers features serviced hotel rooms and larger apartments, all appointed in a sophisticated manner and designed to enhance your Brisbane city stay with car parking and free WIFI. Take a short weekend trip to see a game with friends in one of our modern Twin Rooms, get focused on business during your corporate stay in a spacious One Bedroom Apartment or base you and your family here for a week of dining, arts, shopping and more sports in a well appointed Two Bedroom Apartment. 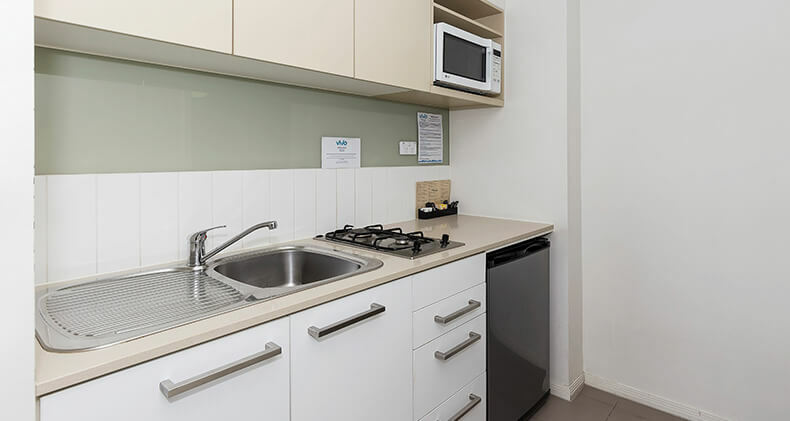 The Gabba Central Apartments accommodates all in a friendly, professional and stylish manner with the convenience of a supermarket directly downstairs, the vibrant sporting, dining and bar scene of Woolloongabba within walking distance and the CBD, Southbank and Cultural Precinct a short ride away. 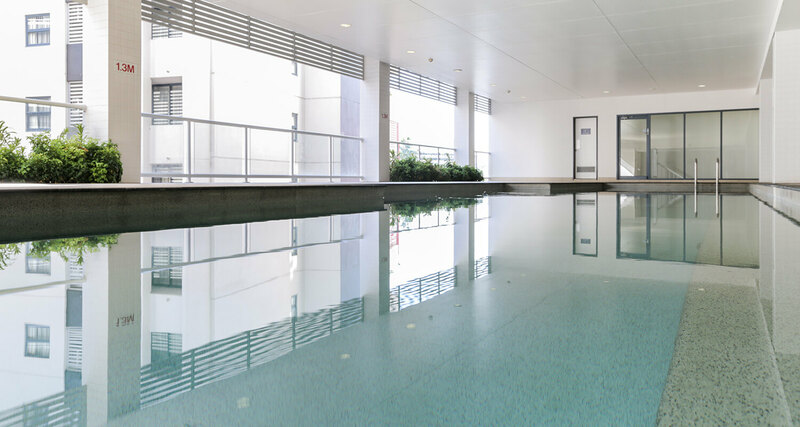 Once you’ve cheered, shopped, dined and sightseen your way through the magnificent River City, return to the Gabba Central Apartments and cool off in our rooftop or indoor pool, we also offer a well equipped gym which you can then soothe those tired muscles in the sauna or simply put your feet up in the cinema room. 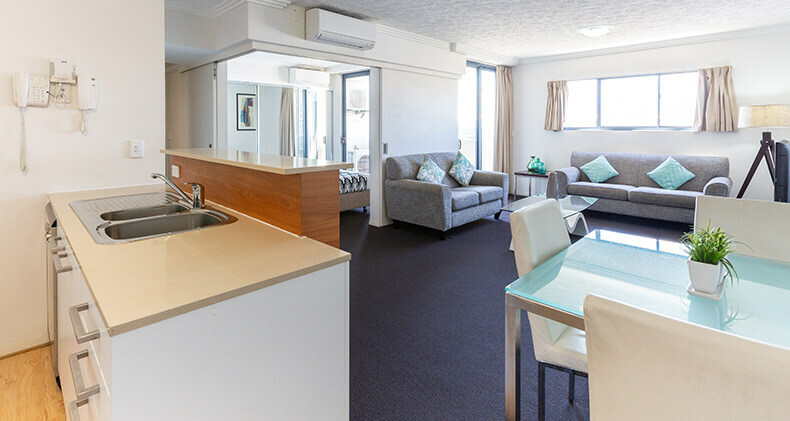 All looking to self-cater, most rooms have a kitchenette or full sized kitchen, with the rooftop BBQ terrace another option for those who like to dine with a view. 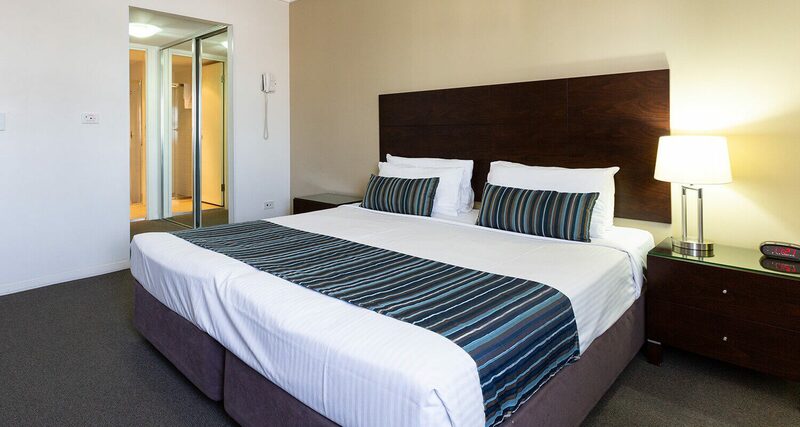 With our stellar location, stylish rooms and competitive rates, Gabba Central Apartments is the premier accommodation in Woolloongabba. With a burgeoning cultural scene, various top level national and international sporting competitions, a world class dining scene and fantastic year round weather, Brisbane has unquestionably secured its place as a destination in and of itself amongst Australia’s other capital cities. 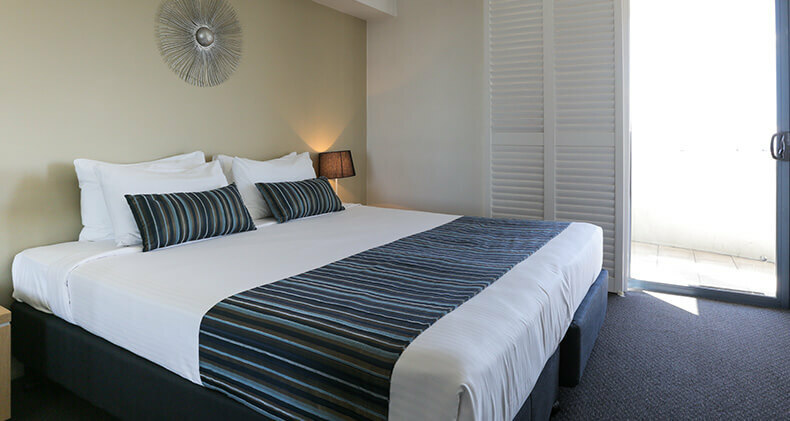 With a Queen bed our Hotel Rooms are well appointed for those wanting to make the most of their time out and about in Brisbane. 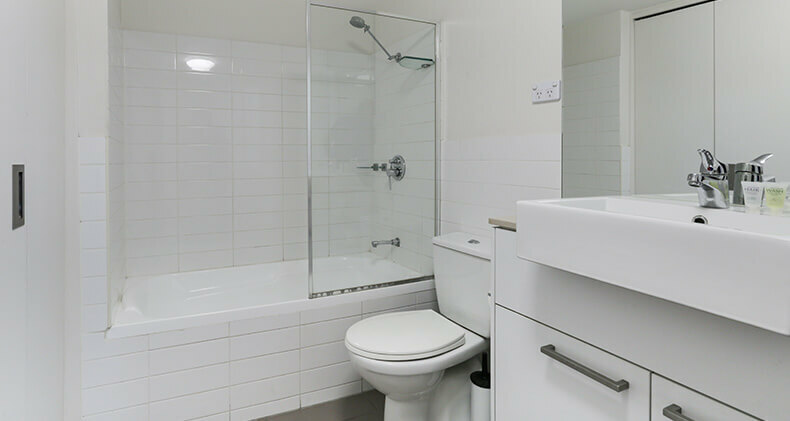 A separate bathroom showcasing modern design, a flat screen TV with cable channels and tea and coffee making facilities will enhance any visit to the River City. 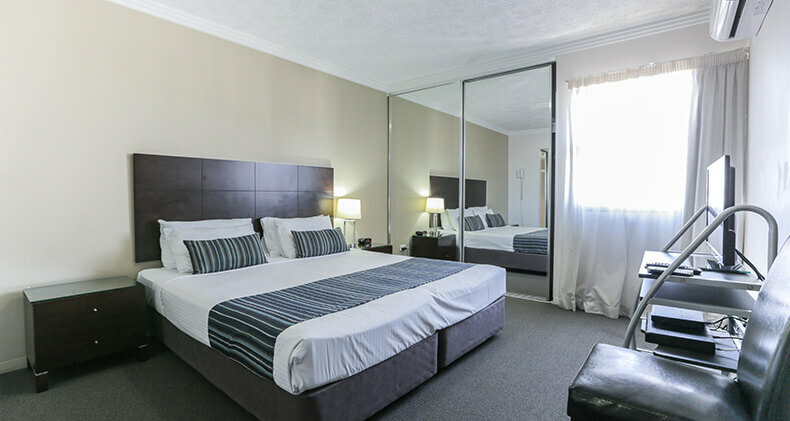 Our Hotel Rooms are perfect for those on a short trip, couples or friends looking to experience the city together, with interconnecting rooms available. 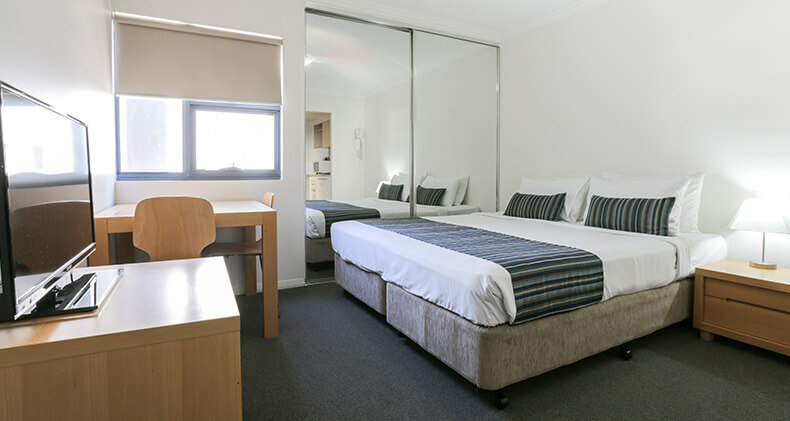 The Gabba Central Apartments Studio Rooms deliver much more value than most standard rooms of similar accommodation, featuring luxury bedding, a well-appointed kitchenette and a separate modern bathroom. 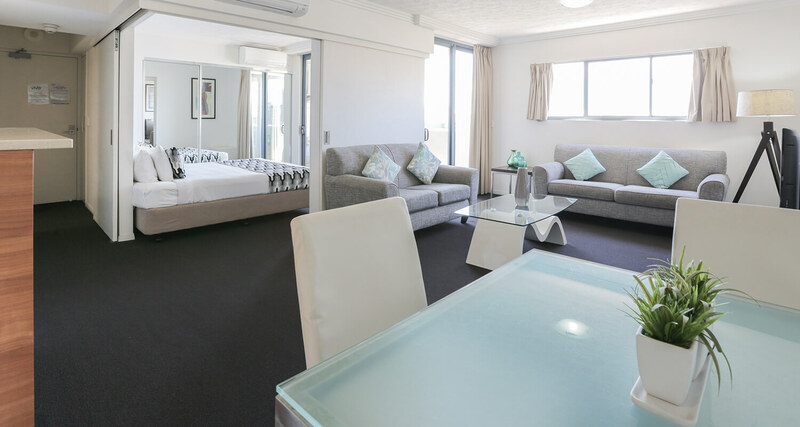 Containing all the usual facilities, our Studio Rooms also boast a dining area, are functional, stylishly decorated and perfect for couples or singles looking for convenience, comfort and a little bit of luxury during their Brisbane stay. Offering a balcony and fully appointed kitchen, the One Bedroom Apartment is a luxurious addition to any trip to the River City. 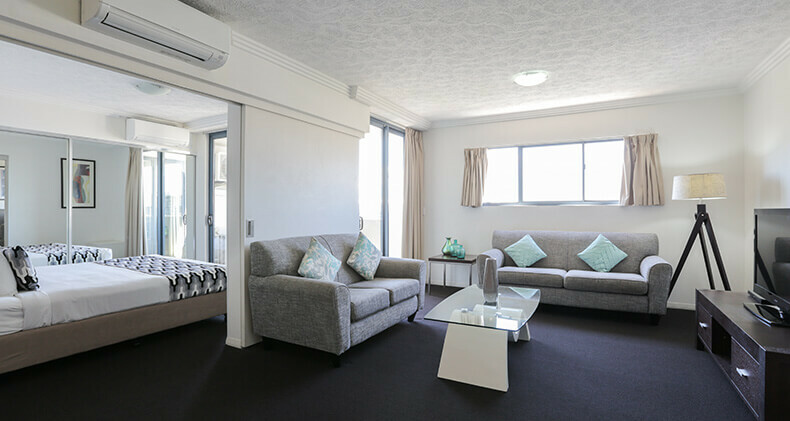 Accommodating three adults with 1 King Bed and 1 Sofa Bed, these large apartments will soothe the senses after an exciting day out with views over Brisbane, the conveniences of home and modern décor. 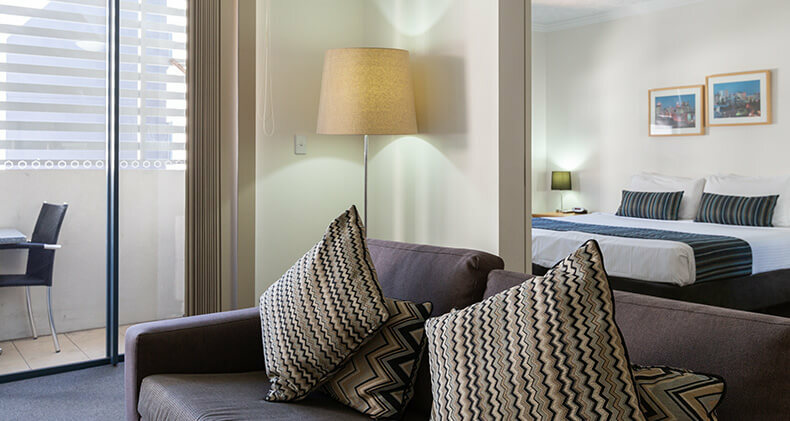 Exceptional value for couples, friends or small families, the separate bedroom, sitting room, balcony, dining area and kitchen allow guests to relax and recharge in their own space. 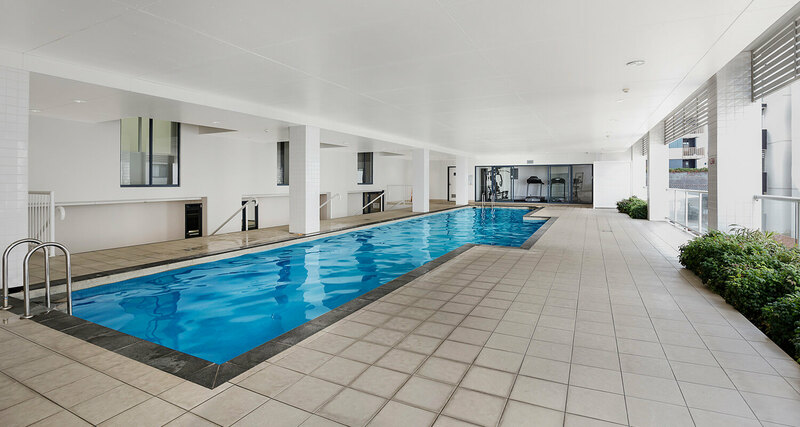 Revel in the space and modernity the Two Bedroom Apartment affords, with its large and open living area, balcony patio and two well appointed bathrooms. 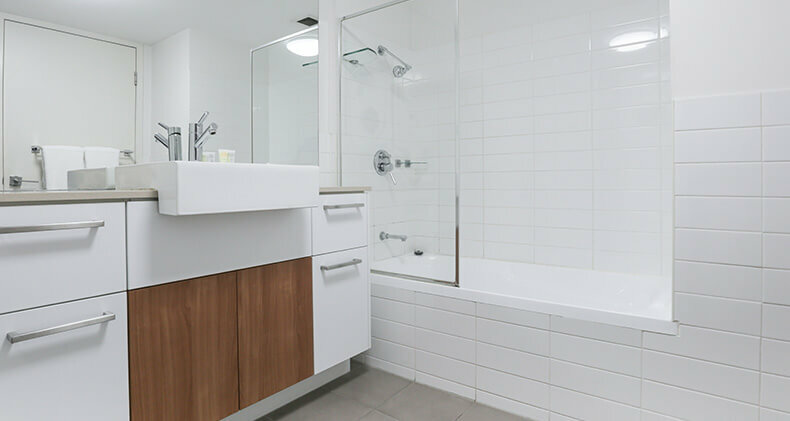 Offering 1 king bedroom, 1 twin bedroom and a sofa bed, this spacious apartment is perfect for friends intent on cheering on their favourite team together and families experiencing the child-friendly delights of Brisbane city. 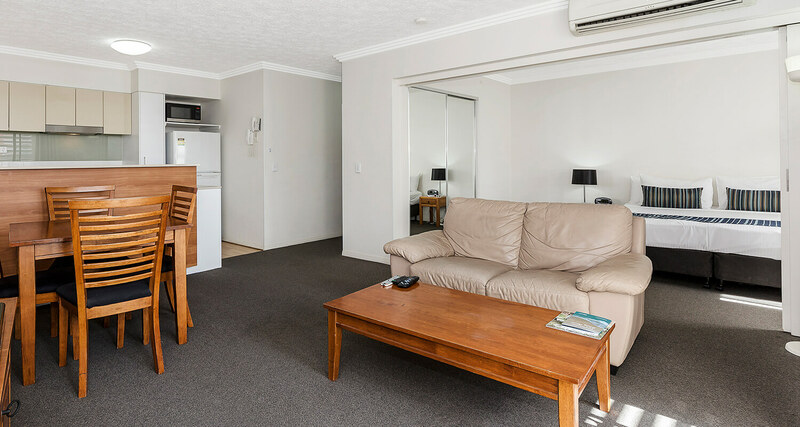 Self-catering is an easy option in the well-appointed kitchen, whilst the beautifully styled living area and balcony makes relaxing and recharging after a busy day or night effortless. Want to book & pre-pay your accommodation in advance? We’ll reward you with an Early Bird discount of 10% off the best rate of the day, for any room type at the Gabba central Apartments, when you book online directly with us and stay two nights or more.Complimentary use of hotel facilities including Broadband WIFI throughout hotel.Please note that the Early Bird Special is strictly for bookings made more than 14 days prior to your date of arrival and pre-payment in full is required at the time of booking with no cancellation or amendments allowed. 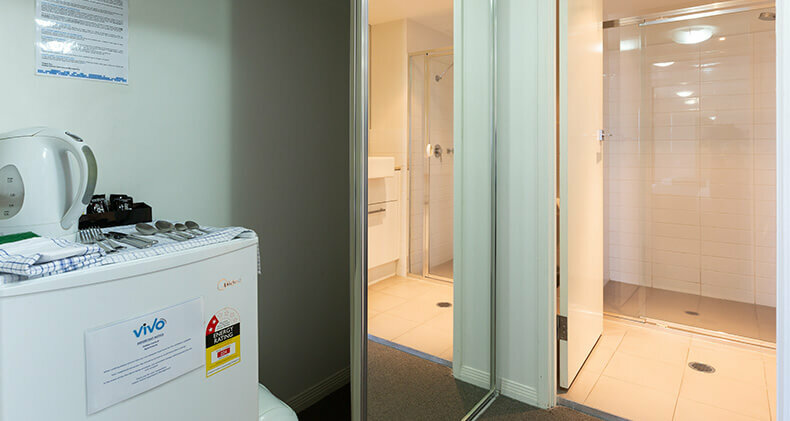 At Gabba Central Apartments, we offer a premium choice of residential apartments for permanent rental accommodation. Each apartment is an evolution in quality and design, driven by an understanding of the way people want to live. 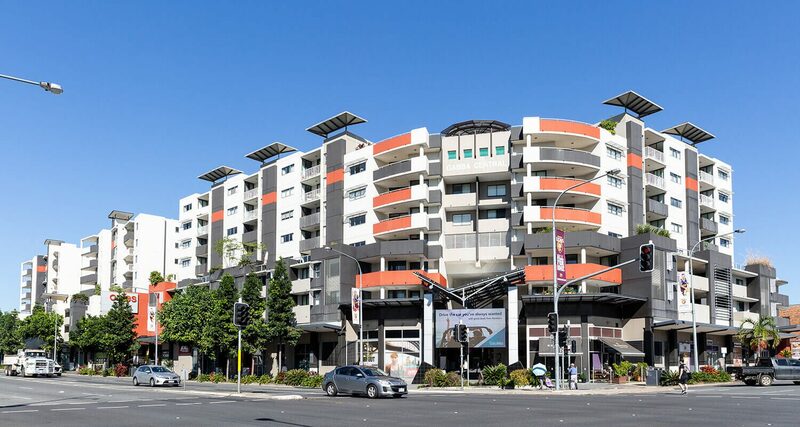 Situated directly opposite the iconic Gabba Cricket Ground, this impressive complex of 4 towers is in the heart of the vibrant Woolloongabba community precinct. 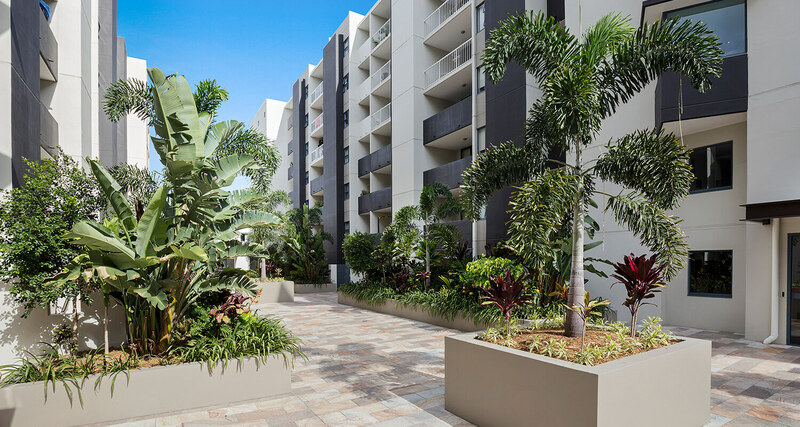 Brisbane’s CBD, Southbank, and Cultural Precinct are all within easy distance from the apartments with various transport options available. 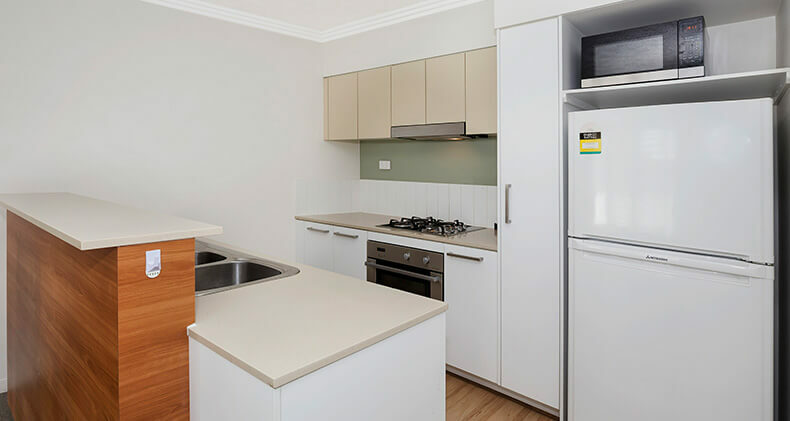 Gabba Central Apartments features a range of apartments designed with generous rooms and large flowing public areas. 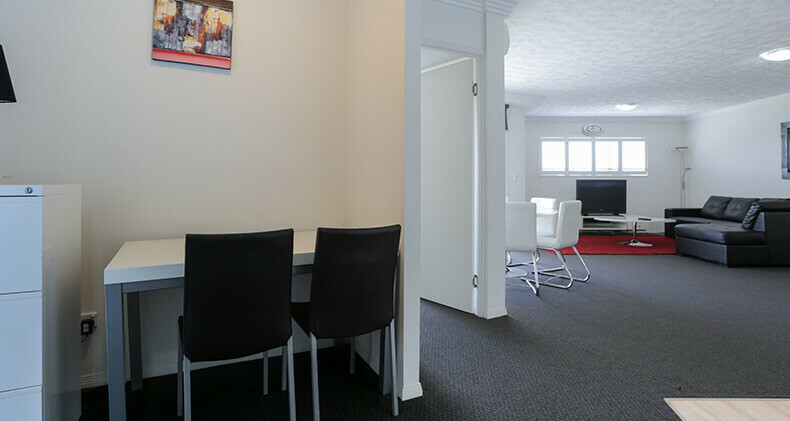 With 1, 2 and 3 bedroom apartments available to rent, make 803 Stanley Street your new address. Rents start from $340 per week for a studio apartment furnished. 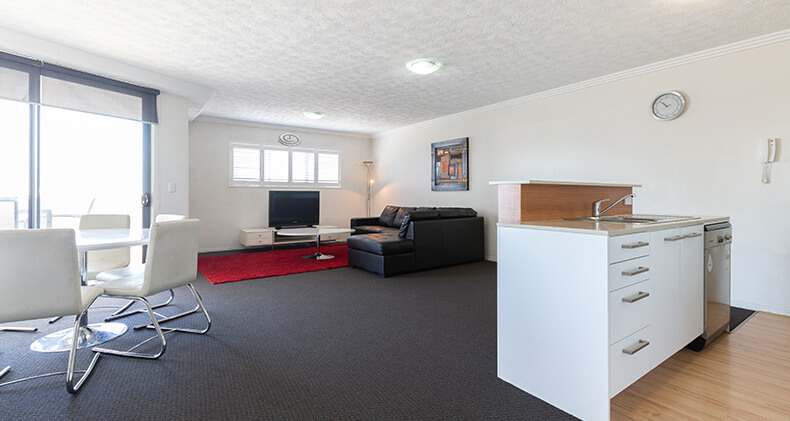 1 bedroom, 1 bathroom & 2 bedroom, 2 bathroom furnished or unfurnished apartments Start from $410 per week. Gabba Central Apartments is about lifestyle, convenience and comfort for all residences. Abseil down the Kangaroo Point Cliffs!